In recent months, Health Canada has issued a statement regarding encapsulation. As a birth doula and prenatal educator part of my role is helping clients make decisions using informed consent. Which basically means sharing evidence for and possibly against, anything and everything, to make the best decision possible for each individual. When Health Canada released their statement on placenta encapsulation, I immediately contacted my training organization. APPA is recognized in the placenta field as a leader in industry standards and safety. They have done extensive research, compiled studies, reports, etc on placenta use. I want my clients to feel safe in their decisions, and transparency is key. You can find Health Canada's statement here. For further information regarding APPA's Standards of Practice, safety and placenta research, see here. The placenta has been honoured throughout the centuries in various cultures. Modern day families are turning to modern day techniques for saving and honouring their placentas. 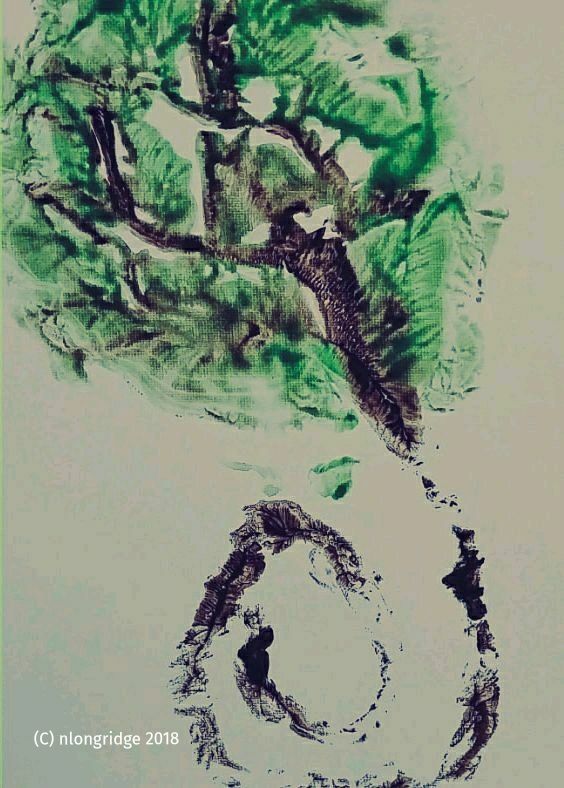 The placenta can be printed for beautiful artwork. The umbilical cord can be dehydrated for a unique keepsake. The placenta itself can also be dehydrated for long term storage. You only get one chance with your placenta, I take utmost care and respect when handling your placenta for preparation. I have a dedicated work space in my home for placentas only. 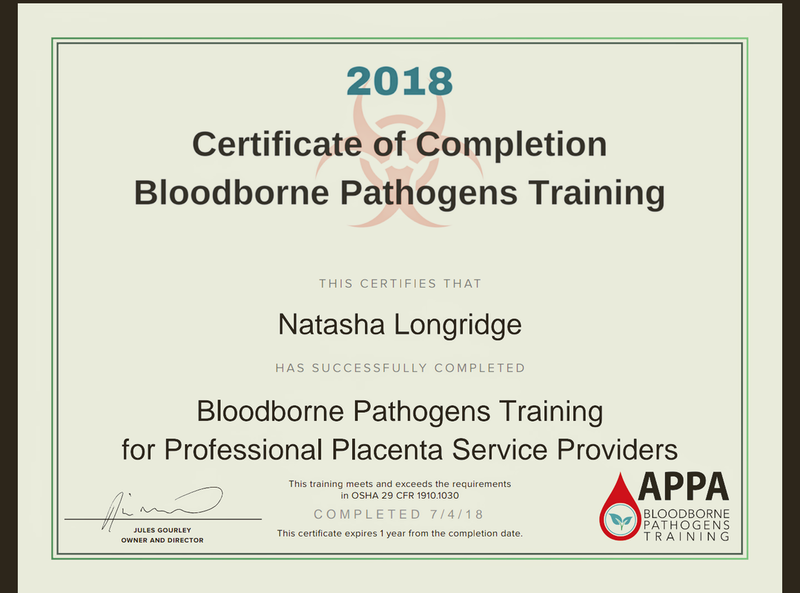 I follow all Blood Bourne Pathogens guidelines for sanitation and cleaning. My top priority is making sure your placenta taken care of with love (and safety). - Placenta is dehydrated, then capsuled. - Placenta is split in half, both methods are done. Discuss Placenta Arts - Email Me! You can have prints made of your placenta. They create a timeless memory. 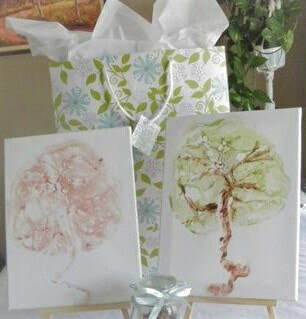 ​Often called Tree of Life prints, they can be done using colour or blood. All prints made are yours. "I'm feeling great! I will definitely be calling you again for the next one! Thanks so much!" "Yesterday I blessed someone that did something special for me almost 2 years ago! I called Natasha to thank her for encapsulating my placenta! " I am a trained Placenta Arts Specialist, I am not a licensed medical professional , I am not able to diagnose, treat or prescribe for any health condition. It is always best to speak with your health care provider regarding health matters. Services and fees are for the preparation of your placenta, not for the sale of the capsules. No specific benefits, effects or cures are promised. It is your responsibility to determine how you want to use your placenta.